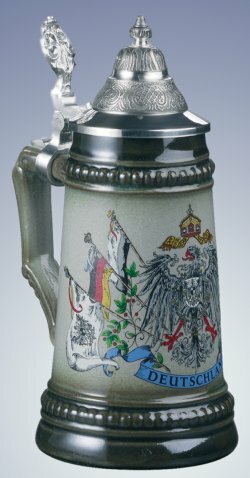 The decal shows the German eagle holding German flags. The banner reads Deutschland, which is the German name for Germany. 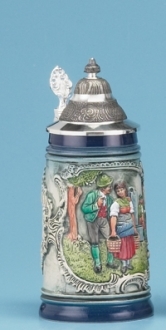 This 1/4 liter stein is about 7.75 inches tall.